Get a fully customized garage door to meet the needs of you home. As a specialized garage door company, we pride ourselves in our quality of work and how fast we can complete a job once it is started. We make sure your garage doors are fully functional and are way more affordable than other local garage door companies in Georgia. We can install a complete garage door or just add new features to an already installed door. With a free estimate, we will be able to determine what works for you while offering value that is worthwhile. No matter the function or damage that your garage door has, we can find the solution that will make any garage maintenance a successful one. You should always be able to access your garage, whether for storage or as an alternative entry to your home. Unfortunately, a malfunctioning overhead garage door can throw a wrench into your daily routine. Luckily, C&C is the ultimate garage door repair service for any Lawrenceville home, old or new. We’ve been in the residential garage door business for a long time, so it’s safe to say that any service call to C&C will solve your garage door problems quickly and stress-free. Garage door stuck? Garage remote not working? C&C Garage Doors and Openers can help! We’ve proudly served residential garage door installation and repair needs for 25 years, and will provide prompt, efficient service when you need it most. We install new garage doors and openers if necessary, but we also specialize in repairing and restoring any garage door and/or opener. We’ll help you take back control of your garage, restoring your garage doors and garage remote openers to working order. Garage doors open and close repeatedly until sometimes your find that a broken chain, wire, spring or screw can halt the simple function of garage door automation. 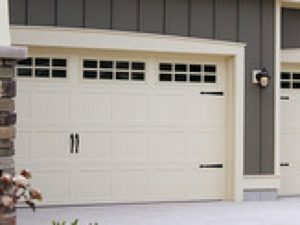 Having a professional garage door company handy can save time and money so that anytime the garage door needs a repair. You may ask yourself, why won’t your garage door work? In the case that you need assistance with learning about the functions of a garage door, we would be glad to help identify the issue and offer a solution that either you can do on your own or with our garage door repair assistance. Get the best of the best to fix any garage door maintenance issue or for a complete installation. C & C Garage Door and Openers will be the right person to service free consultations and identify the service that would be of most use to you and your garage door. 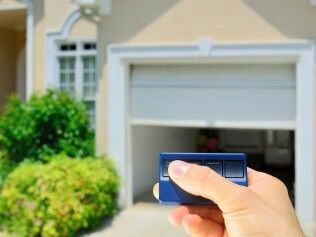 Garage doors and openers are part of daily life, even if we don’t realize it. Because of this, it is very important to always have a quick, trustworthy, and affordable garage door and garage door opener company. That company is C&C. When you ask yourself “Why won’t my garage door work?,” don’t stress! Call Lawrenceville’s leader in all things garage repair. Garage door springs, garage openers, door replacement, you name it. We have certified and experienced technicians that cater to any and every garage repair need. If worst comes to worst, we are also Lawrenceville’s most affordable garage installation service. When garage disaster strikes, don’t hesitate to call the best: C&C Garage Door and Openers! Why won’t my garage door work? We have the garage door repairs for you! When your garage door breaks, give us a call! In the meantime, you still need to go about your day, so here’s how we recommend you go about using your garage door in the meantime. First, you will need to get a sturdy ladder or step-stool so you can reach the red cord that is attached to motor mechanism hooked on to the lever. The red cord is an emergency method to get the garage door open or closed. The pulled cord will allow you to open the door by hand. Pull the cord, get off the ladder and grasp the garage door handle found on the garage door. Lift the garage door up with a mild force but be careful not to use to much force or you may cause more damage than before to the garage door springs or other tension sensitive components! Lift the door with both hands and if you find that the door won’t budge then go ahead and pull the red cord again. You may find the garage door won’t stay open by itself, you may need to prop the door open using a sturdy platform. You might be locked from outside of the garage and that doesn’t leave you with many options. In this case, it’s best to call us or a local locksmith to get you back inside the garage. Being well prepared and cautious about using your garage door will help you avoid garage door issues and costly repairs. We recommend a routine prevention check to keep up with the mechanical functions of your garage door, and to prevent you from needing a new garage door. C&C is a local company that has been around Lawrenceville for years. We’ve repaired the same garage door springs and openers for years. Why? Because people know when they call C&C, whether it be for repair or garage door replacement, they’ll get the same great service they’ve been getting for years. We love Lawrenceville. The downtown area is a joy and with all the renewal, it's become a wonderful place to spend an evening. So many small businesses have launched their companies in Lawrenceville. We’re proud to say we’ve helped many of them. Get a garage door repair in Sugar Hill GA Today!